The Voigtlander 15-35mm Zoom Viewfinder will show you what your wide-angle lens (from 15mm to 35mm) is capturing when used with virtually any full-frame film or digital rangefinder camera (Leica M9, M240 etc. ), or with the 1.3x crop factor Leica M8 or 2x crop factor Micro Four Thirds cameras like the Panasonic G Series and Olympus EM-1 cameras. 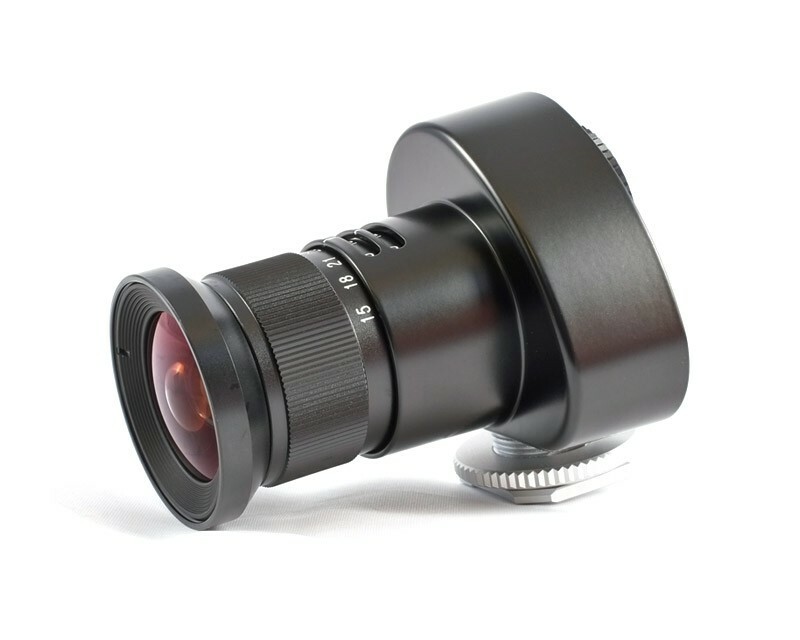 This zoom viewfinder features excellent optical quality, with 8 elements in 7 groups and 3 prisms. A built-in dioptre is continuously adjustable from -2.8 to +1.3. The viewfinder has click-stop settings for 15, 21, 25, 28, and 35mm, and parallax lines show the image cut-off at 1m, with marked values for 1.3x and 2x crop cameras.